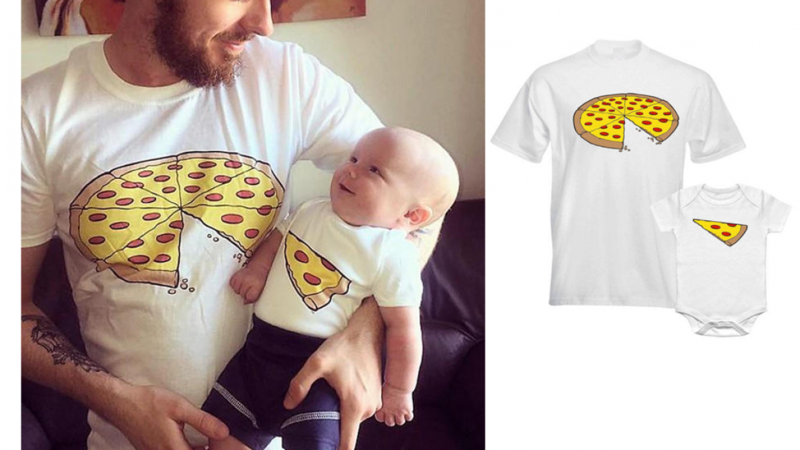 These cool Father and child pizza slice t-shirts are the perfect gift for any proud Father. 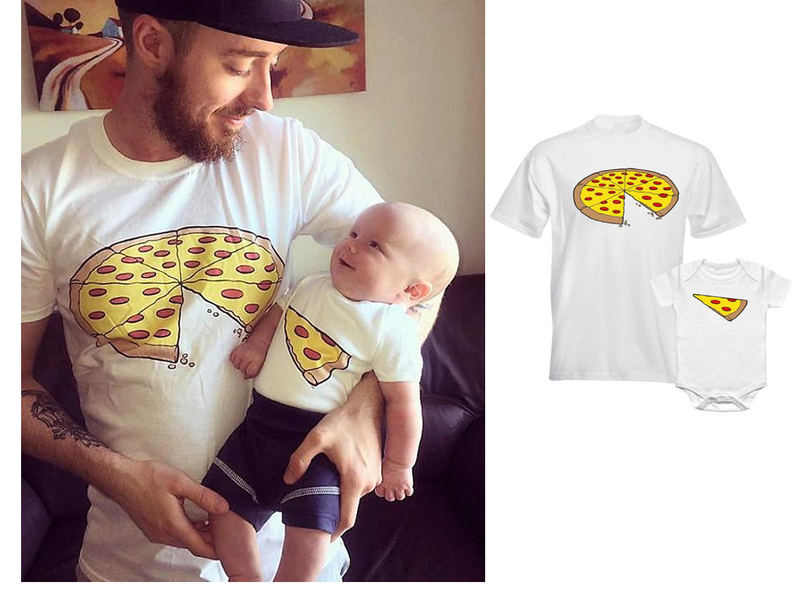 If you know a Dad who happens to love pizza and their child then this is a cool gift to give as it will be loved. It works for Fathers and sons or Fathers and daughters and can also be worn by Moms. A fun choice for almost any occasion because t-shirts are comfortable enough to wear all the time. As a Father's day gift this t-shirt gift set is perfect because it is sure to bring laughs. These are made to order which is cool because if you need to have it delivered you can include a personal gift message. If you want to go with the pizza theme you could give it along with a hot fresh pizza from your favorite pizza place. Or maybe vouchers for free pizza! Babies and children can wear these shirts because they are made from high quality cotton. You will find that the t-shirts are regular fit crew neck tees with short sleeves. This is a standard style of shirt that will suit almost anyone. For a more relaxed fit simply order a larger size. Order more shirts if you would like to dress your whole family in cute matching shirts. Larger childrens shirts are available. A cool idea for family outings, sporting events or family photographs. Also if you have a parent and child event happening at your child's school or elsewhere these shirts will work very well.